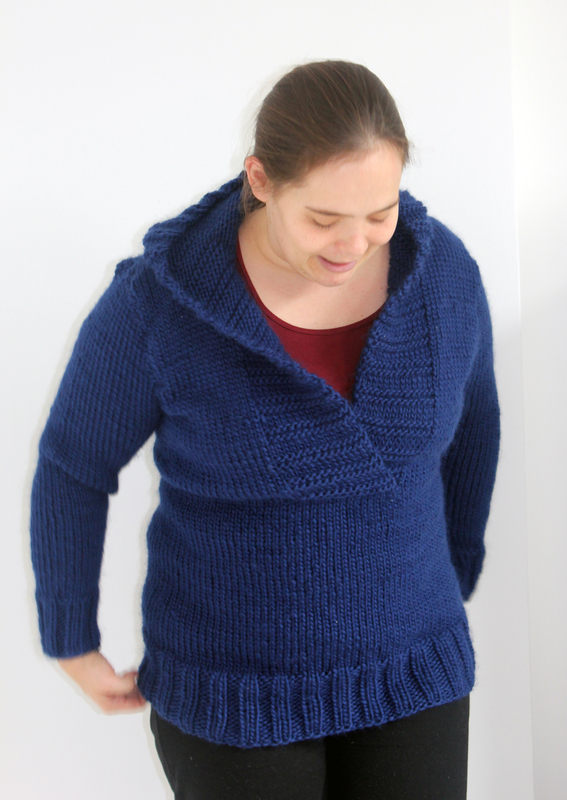 I’ve managed to finish the hoodie I was knitting for myself. I started it back in May and took a bit of a break with it during the Summer. 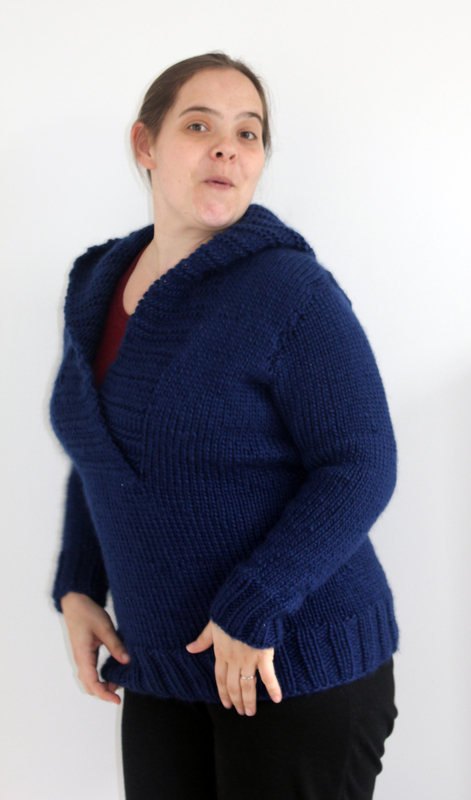 Mainly because the yarn I was using, Drops Eskimo, is really warm and thick and it just didn’t feel right to be knitting with it in weather that was in the twenties. 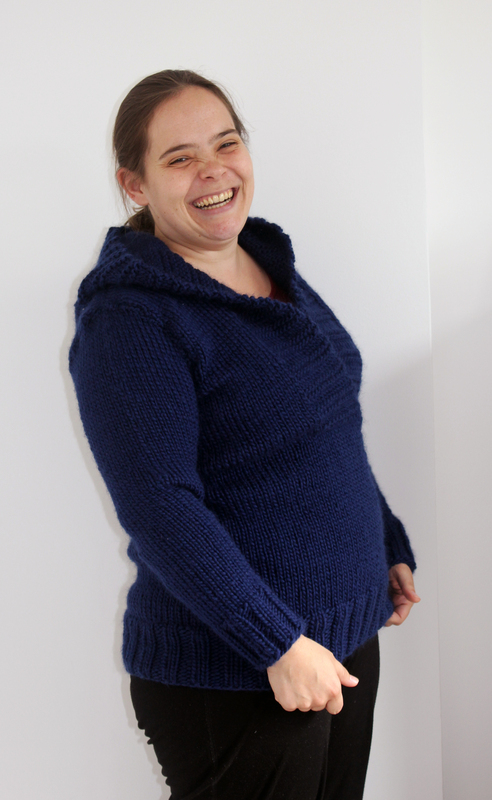 The pattern is a Garnstudio pattern that I had found when I was waiting for my little man to arrive in February. 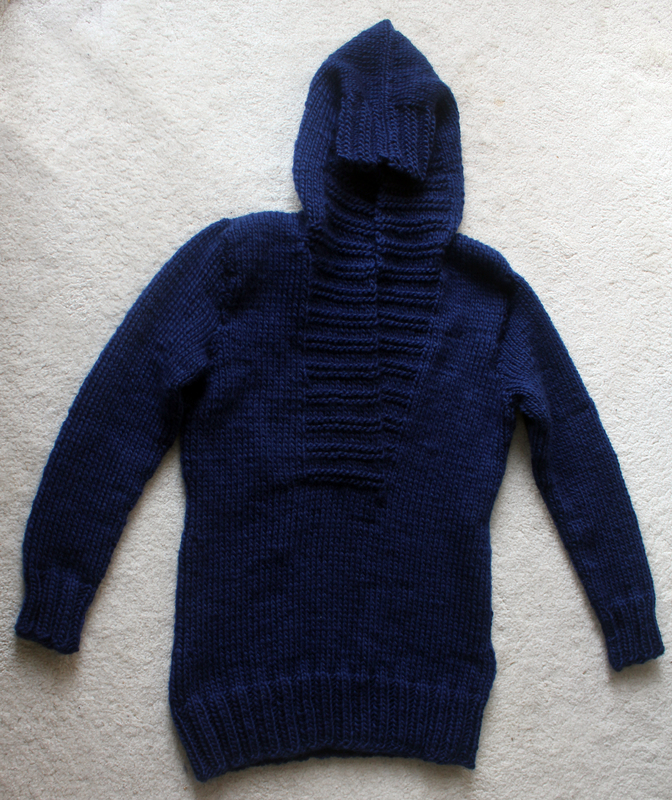 It’s a really easy to follow pattern that is knitted on circular needles up until it’s split for the arms and the front band. Knitting with Drops Eskimo is quite nice as it’s quite a thick yarn and it practically flies off the needles (when I decided to finally focus on it). 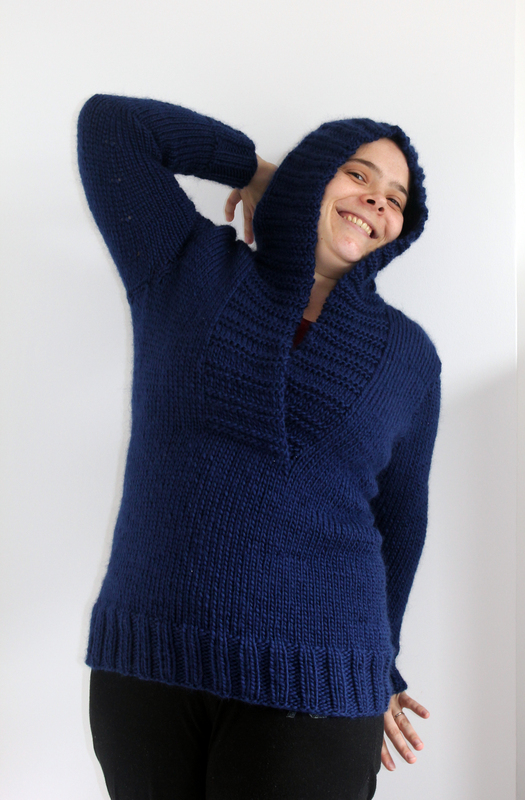 When I started knitting it I decided to go for a large size as I think it’s quite nice to be comfortable in this kind of sweater. 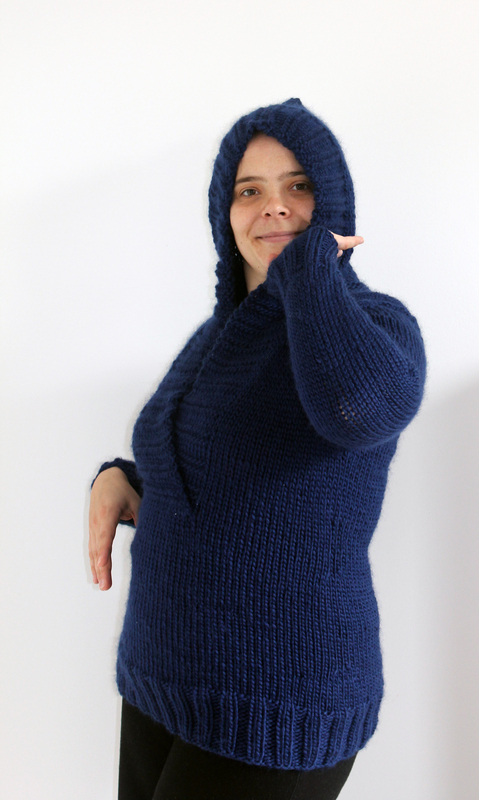 I was a little bit worried about the sleeves being too short when I was knitting them (even though I knitted a large), but they turned out to be just the right length. My best friend was still here on Monday so we did a photoshoot of me wearing the hoodie, so prepare yourselves. Doesn’t it look good? 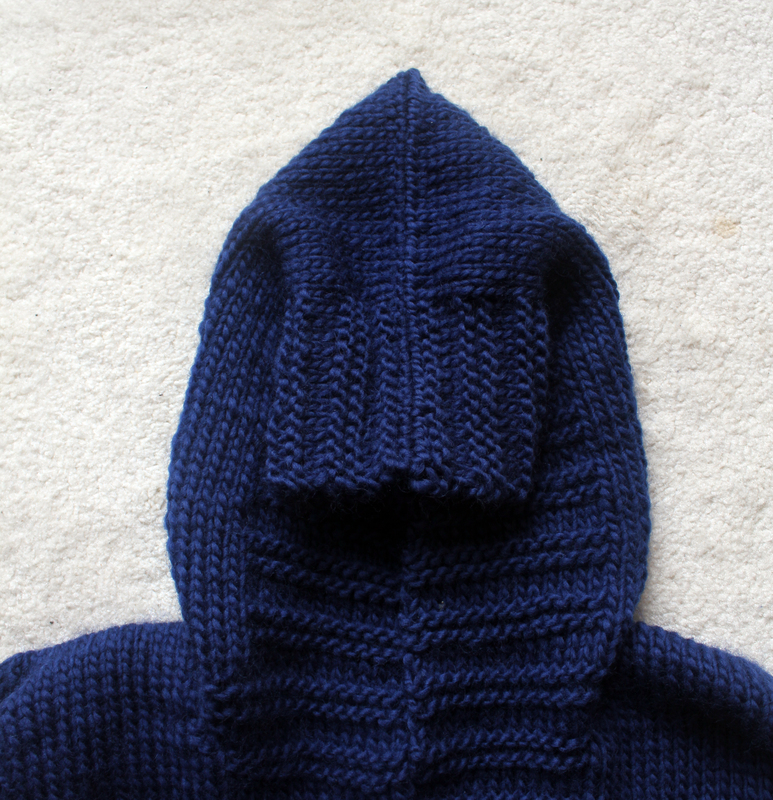 I do think the hood looks a little bit like a pixie or gnome, maybe I should block it after all? 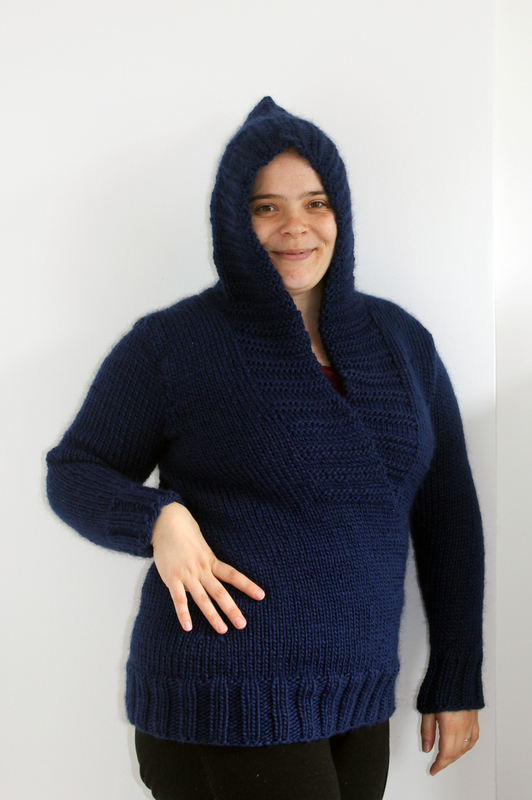 This entry was posted on October 11, 2011 at 7:02 pm and is filed under Knitting with tags adult, hooded jumper, Hoodie, jacket, jumper. You can follow any responses to this entry through the RSS 2.0 feed. You can leave a response, or trackback from your own site. Ha! Love the photo shoot? You are so cute. I think pixies are very in fashion right now. your life is a work of art! oh it’s fantastic! and looks completely fantastic on you! i love your photoshoot – nothing like fun and laughs with a good friend! love it! and it looks fantastic on you! your photoshoot is too cute! nothing like fun and laughter with a good friend!